Keith Hernandez is a retired first baseman for the New York Mets, the St. Louis Cardinals and the Cleveland Indians. Keith Hernandez is a two-time World Series Champion and eleven-time Gold Glover. He was considered the best-fielding first baseman of his time, winning eleven straight Gold Gloves and setting major league records for most seasons leading league first basemen in double plays (six) and lifetime assists by a first baseman. Hernandez led the NL in batting in 1979 with the Cardinals, winning the only shared MVP award in history that year. He is now a baseball analyst working for the Mets on SportsNet New York and WPIX television broadcasts. PFP Sports & Celebrity Talent Agency is a top booking agent for motivational sports speakers and celebrities. 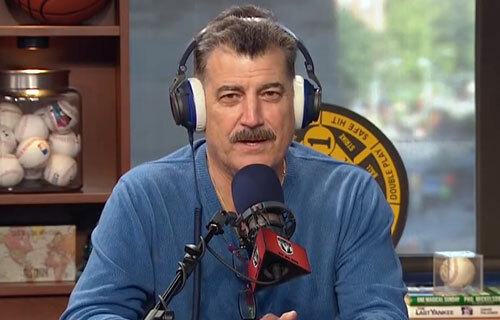 If you would like to book MLB stars like Keith Hernandez for a speaking engagement, personal appearance or special event, you can request Keith Hernandez agent and speaker information from PFP Sports & Celebrity Talent or call 800.966.1380.